Sorry, Android tablet owners, but Google doesn't plan to bring its Assistant digital helper to your device anytime soon. Google's revelation that the Google Assistant was heading to more phones was met with cheers last month, but an important detail slipped by many: the search giant only referred to "phones" in its announcement. As if that wasn't proof enough, Google has now flat-out confirmed to Android Police that, at least for now, Google Assistant is not coming to Android slates. "The Assistant will be available on Android Marshmallow and Nougat phones with Google Play Services, this does not include tablets," the company said. Can't get more straightforward than that. 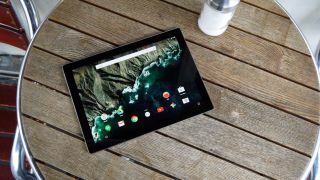 What wasn't straightforward, however, and likely gave Android tablet owners some hope, was Google's follow-up blog post when Assistant actually began rolling out to Android Marshmallow and Nougat handsets. In that post, Google doesn't refer to phones at all, but rather says Assistant is arriving on "Android 7.0 Nougat and Android 6.0 Marshmallow devices with Google Play Services" (emphasis ours), which likely led to some confusion. All that aside, the short of it is Google doesn't plan on delivering Assistant to Android tablets for the foreseeable future. This may be disappointing to those with an Android slate, though not terribly surprising considering Google's current focus on phones, namely the Pixel, Pixel XL and a rumored slate of upcoming Pixel products, as well as delivering Assistant to Android Wear 2.0 smartwatches.